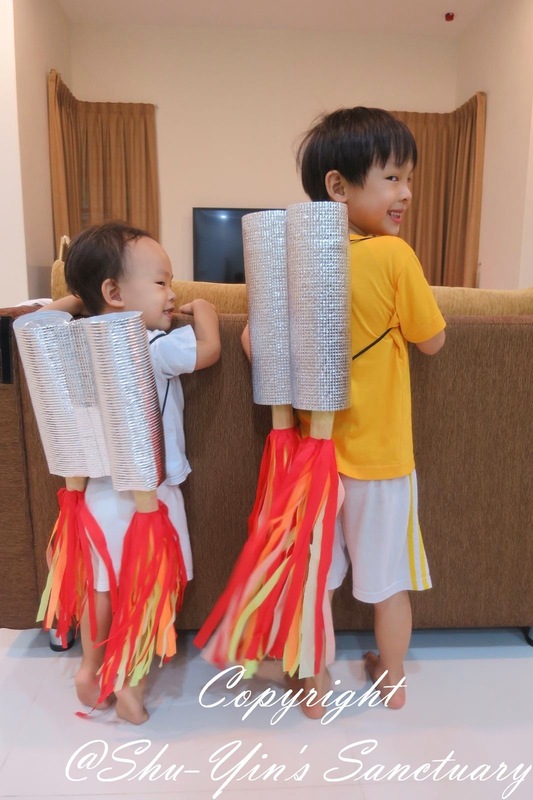 Shu-Yin's Sanctuary: Kids Halloween Costume - The Making of Jet Packs! 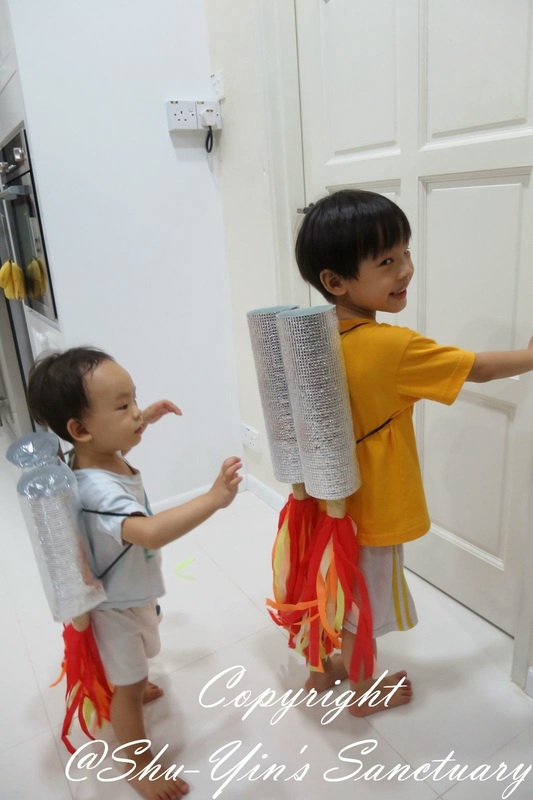 Kids Halloween Costume - The Making of Jet Packs! It was a last minute thing. Unlike last year's Halloween making that complicated Train Costume, I had not much time this year. 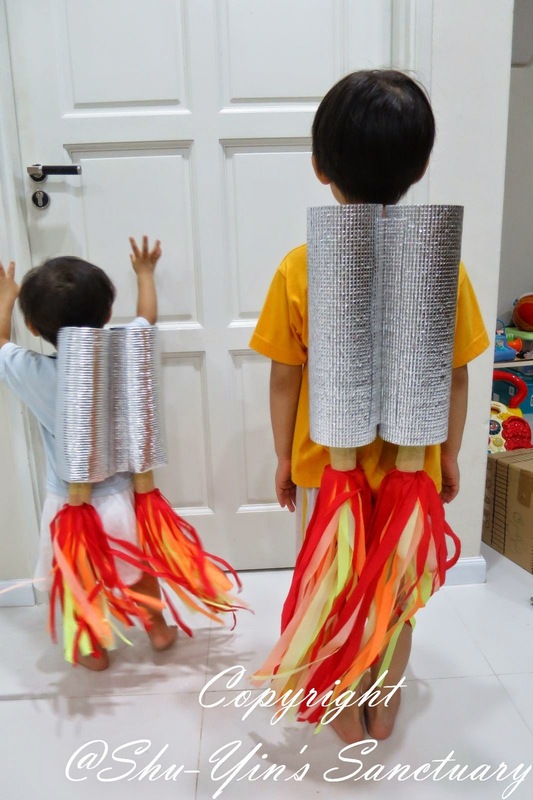 I did some Pinterest search though and knew that I wanted to make these Jet Packs that Shern wanted, but I did not get my bum up to actually do it until yesterday, which was already the Halloween eve. I went to grab the materials only 3 days ago. 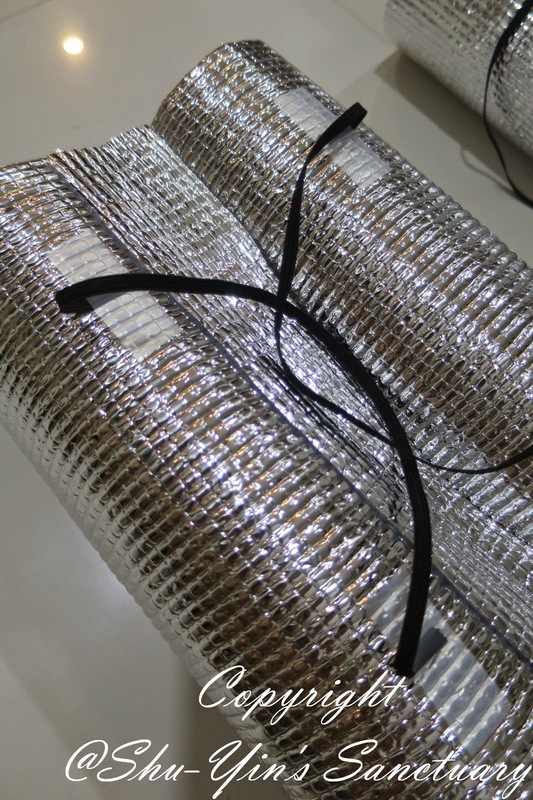 The materials are simple and few. 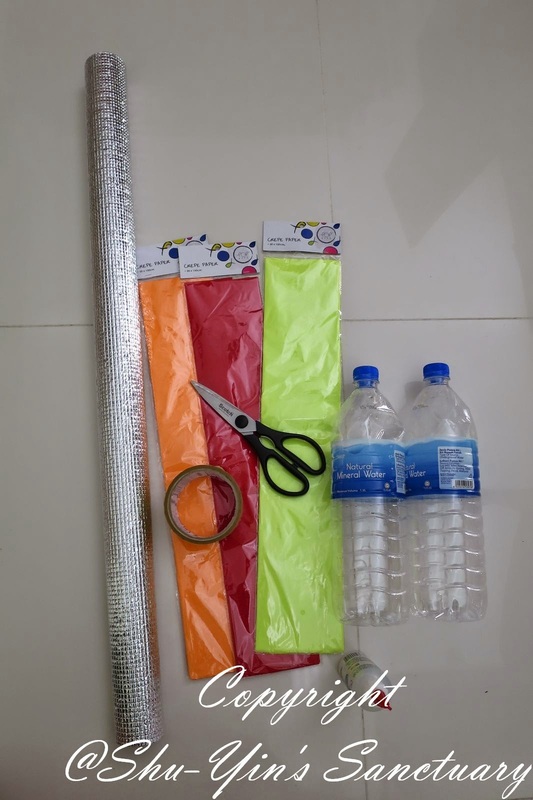 I got the roll of soft aluminium foil from Daiso for RM5, and the crepe papers from Popular Bookstore for RM1 each. 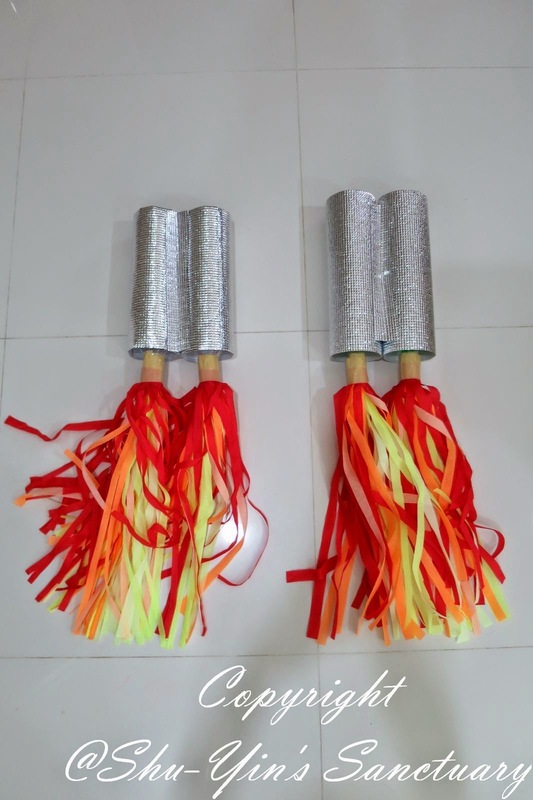 First, just wrap the aluminium foil around the bottles. I used the glue for this. 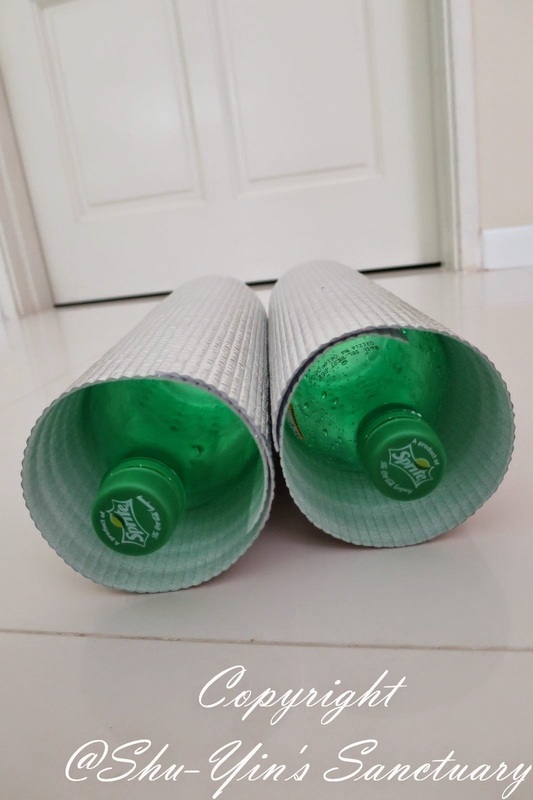 You can make it longer than the bottom of the bottles for a longer jet pack for taller kids. 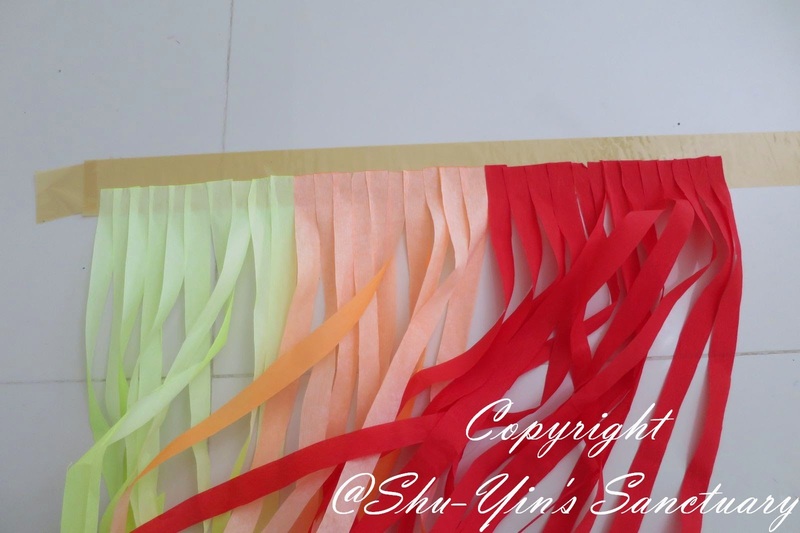 Next, cut the crepe paper into strips. This is the most time consuming part. Took me awhile to cut these. 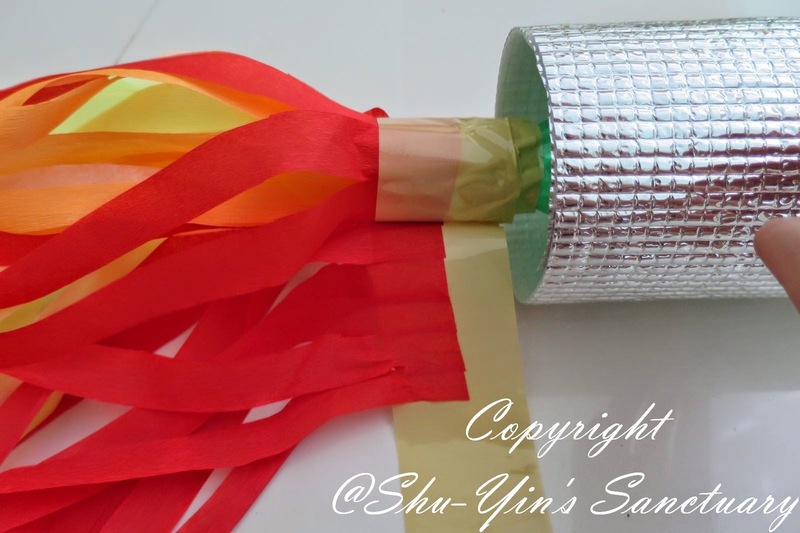 Then put a long strip of tape onto the floor, and stick those crepe papers onto the tape halfway like this. 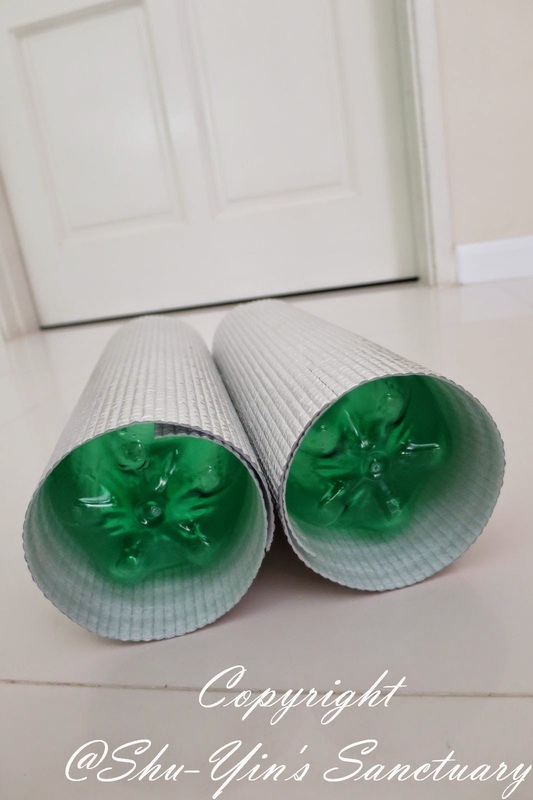 Once done, roll the tape onto the bottle cap. 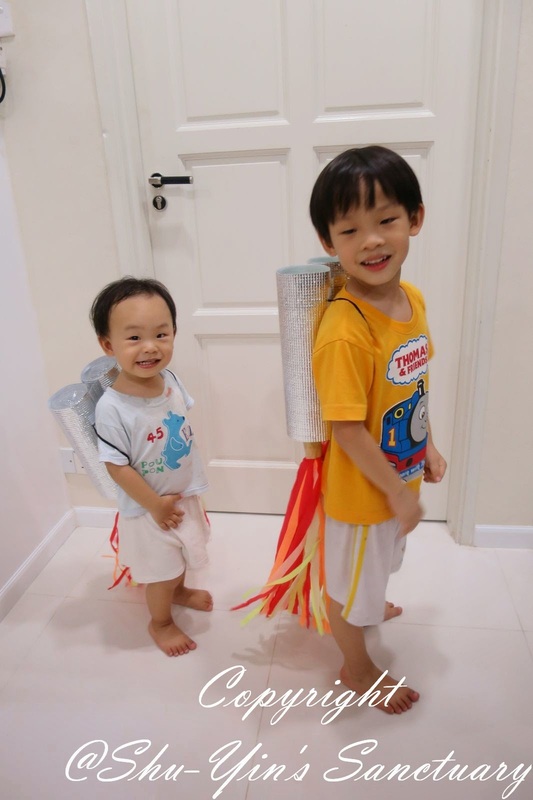 Next, put some tape and stick the two jet packs together. 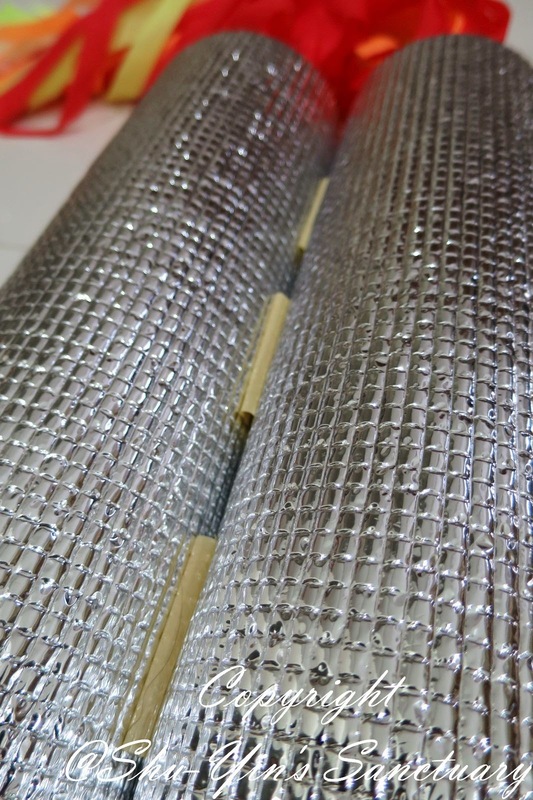 I used another small piece of the foil to cover the tapes. 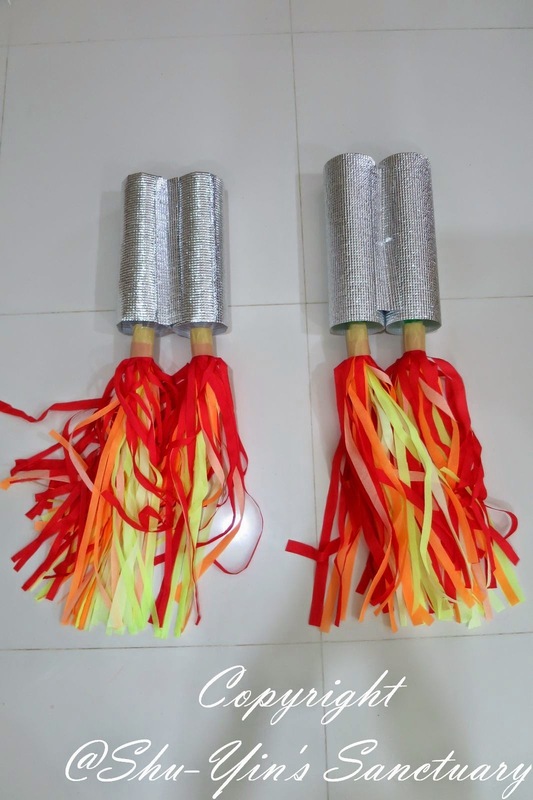 This is how it looks like front view and back view! I did these in about 1 1/2 to 2 hours. 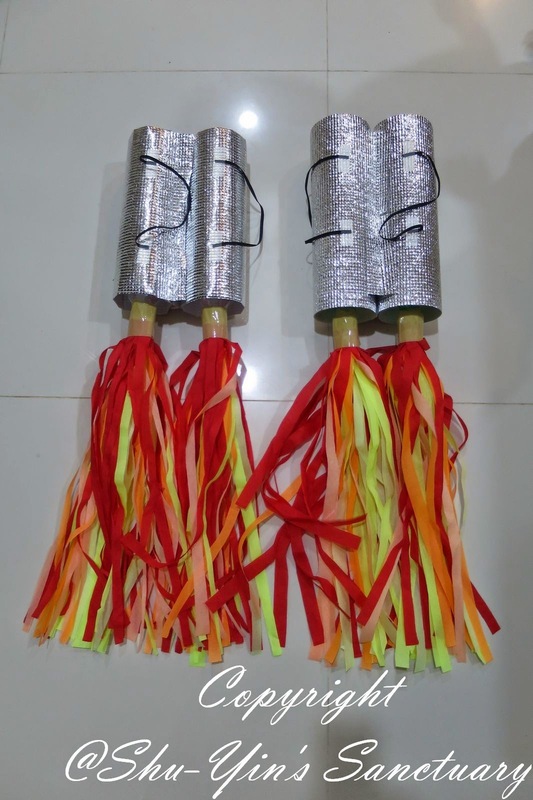 Jet Packs ready for my boys! The boys putting them on. This is also Khye's first ever costume! 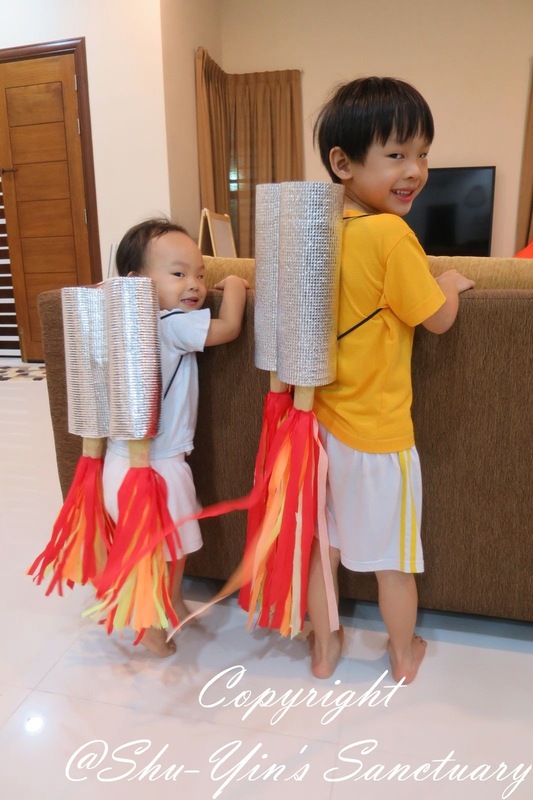 My boys will be the Jet Pack boys for Halloween today and also on this weekend when we go Trick-or-Treating! Halloween to my boys are just donning on costumes, and nothing on those scary ghosts and death-y kinda Halloween!!! hahaha. HAPPY HALLOWEEN people and HAPPY DRESSING UP! Review: Worthy Book - Ladies & F&B Edition!